Diya Ali is leading and well known Pakistani model, who is participating in different international competition of modeling. She attended the Miss Asia Pacific International and she is making all necessary preparations to attend the international competitions around the world. Her next dream is Miss Mister World International 2017 and she is representing Pakistan with no brand endorsements or patronage. Now she will represent Pakistan at coming competition in Kosovo, which will be continued from 17 July to 23 July. 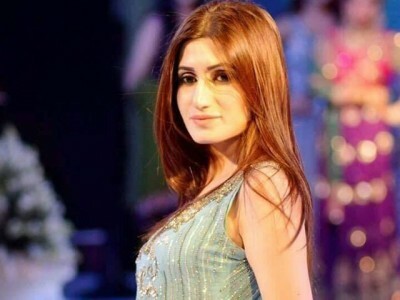 Diya Ali has completed her MBA degree in Finance and she is going to adopt modeling as her passion. She said that it is great honor for her to represent Pakistan in the contest, where various other models compete with each other. She did not receive any cooperation from the government and modeling journey could be short lived. She said that modeling is her profession and she is willing to start acting in future. She will also receive the offers from the international films, which is her first priority. She said that with the education, faith, struggle and hard work, one can achieve everything and she has set out for. She also acknowledged that she faced many problems, when she gave the audition of her Miss Mister World International. She thanked her family and friends, who supported her during her struggle in her career. She said that representing Pakistan on the international level is bold step but she promised with the people of her country that she will not anything going against our culture and she is confident to earn honor for the country.